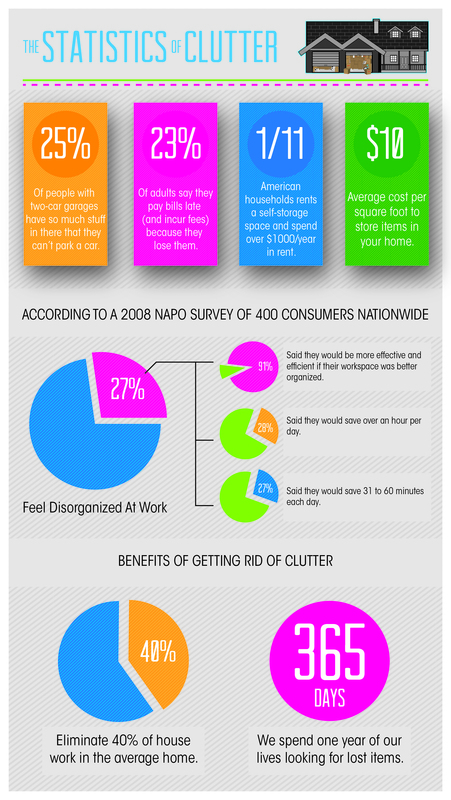 How does Clutter affect your household and life? Have you ever been overwhelmed and frustrated by the amount of junk you have accumulated? These feelings, which can be attributed to the amount of clutter in your home, can actually affect your mental health. Clutter accumulation occurs slowly, methodically, and over a long period of time. Oftentimes, you won't realize your home is cluttered until you're using your treadmill as a coat hanger. It's not so much the items themselves, but the inability to get rid of them that becomes an issue. The average person spends a calendar year searching for lost items within their cluttered home. Car keys, remote controls, and other personal items get lost every day within piles of unwanted stuff. Think of how much lost time can be avoided by better organizing your life and eliminating clutter. If you're ready to get rid of the clutter in your household, let us help you with a bin rental today!